As a specialist in efficiency technologies, Schneider Electric has been an active contributor to the debates over the world energy challenge and climate change, explaining some of the new solutions offered by technology. The world of energy is under important pressure and undergoing major transitions. Energy prices, commercial unbalance due to energy imports, energy availability, climate change and pollution in large cities are many challenges demanding a different energy paradigm. The energy challenge is there to stay. New technologies, the convergence of IT and energy technologies, and the new affordability of renewable sources of energy open the door to a new world. A world where energy is saved systematically, where energy is produced closer to centers of consumption, where energy is better shared, where the environment is connected and accessible. 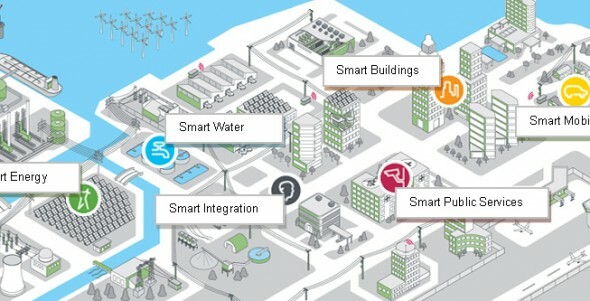 Users, managers and utilities will then work together to save more and share better energy, and integrate a more intelligent energy for more intelligent and effi cient cities. It is time for everyone to become an active player in energy, by saving, producing and consuming energy in the same place. Everyone will then drive this connecting, sharing and integrating. Delivering solutions that align business performance and sustainability Schneider Electric delivers efficient solutions across the energy chain, enabling people to experience and transform efficiency together at home and work, across the grid, and in towns and cities.